Wendy Lewis, Senior Vice President of Diversity and Strategic Alliances for Major League Baseball, Office of the Commissioner, implements MLB’s Diversity Economic Impact Engagement initiative, (DEIE). The DEIE is one of MLB’s newest initiatives to advance the level of MLB’s current workforce and supplier diversity efforts as well as create methodologies for cultural assessments, diversity economic platforms and industry-wide diversity training. This internal consultant model approach will be developed throughout the industry’s Central Office and member Clubs and eventually the Minor Leagues. One of the key components of MLB’s DEIE initiative is the Diverse Business Partners Program, the premier supplier diversity program in professional sports. The Diverse Business Partners Program is an economically driven business initiative established to cultivate new and existing partnerships with minority and women- owned businesses. Under Wendy’s leadership, a greater number of diverse businesses have had an opportunity to participate in the procurement process for MLB’s desired goods and services. Since the formation of MLB’s Diverse Business Partners Program, well over $800 million dollars has been spent with thousands of minority-owned and women-owned businesses. Additionally, in 2006, Wendy established the team that developed MLB’s uniquely strategic talent pipeline, The Executive Development Program (EDP). The EDP is a two year rotational career development program whose goal is to add to MLB’s high-potential talent pool for the Clubs and Central Office. Her pioneering career includes other positions such as Vice President of Strategic Planning for Recruitment and Diversity following her position of Vice President of Human Resources and Office Operations for Major League Baseball. Her roles included directing the recruitment, compensation, benefits, performance planning, training and development for Major League Baseball’s Central Office in New York and its satellite offices. She served as the corporate liaison in the area of Human Resources to all 30 Major League Clubs. As the former head of HR, she formulated an infrastructure for Human Resources Management and established industry best practices. Wendy continues to serve as a staff member to the Commissioner’s Diversity Oversight Committee, MLB’s Ownership Diversity Council. Ms. Lewis has a BS in Psychology from the University of Wisconsin, Oshkosh and an MBA from the J.L. Kellogg Graduate School of Management at Northwestern University. Wendy’s accomplishments have been recognized by various organizations, including the Black Women in Sports Foundation, which presented her with the Legends Award. Wendy has also received the Schaffner Award for preeminence in her field and outstanding service from Northwestern University. Other honors include the Pioneer Award from the National Association of Black Journalists, MIB’s (Minorities in Business) annual award for outstanding effort in diversity within sports, and “The Effie Manley Sports Executive of the Year”, presented to her by Rainbow/PUSH. Additionally, Wendy has been honored by The Network Journal as one of the “25 Influential Black Women in Business” and has been listed in Sports Illustrated, as one of the “Most Influential Minorities in Sports”. Other recognitions include “The Diversity Champion of the Year for Sports” from the Urban Financial Services Coalition, The Women of Distinction Award from the Girl Scouts of New York and The Highest Leaf Award from the Women’s Venture Fund of New York. 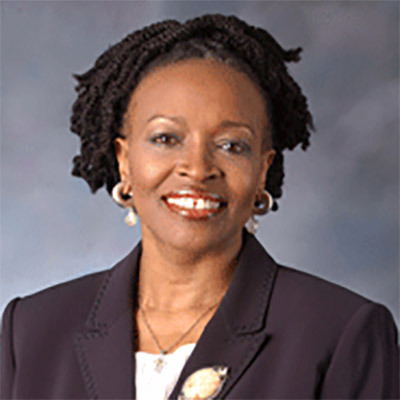 Very recently Ms. Lewis was awarded DiversityPlus Magazine’s 2010 Diversity Star Award. Only 4 people have received this award for their contribution to Women and Minority Business Development in the publication’s 10 year history. Wendy has been featured in numerous publications, has delivered many keynote speeches and serves as a panelist for a host of conferences and professional meetings.